SAN JOSE, CA--(Marketwire - February 9, 2010) - Cisco (NASDAQ: CSCO) today announced it has expanded the ASR Series platforms with the introduction of the Cisco ASR 5000 as a result of the Starent acquisition. The addition of the ASR 5000 gives Cisco a comprehensive end-to-end Internet Protocol Next-Generation Network (IP NGN) architecture and offers mobile operators a platform specifically designed to accommodate the rapid growth of mobile Internet traffic and mobile multimedia applications. This Cisco mobile Internet network architecture increases network and customer intelligence, offers world-class performance in each solution, and allows service providers to utilize Cisco networking expertise across any access, including 2G/3G/4G mobile network -- from cell site to packet core to data center. With this new architecture, consumers will enjoy faster mobile Internet speeds and more seamless mobile multimedia experiences. Cisco's end-to-end IP Mobile Multimedia Architecture consists of a comprehensive portfolio of products including the ASR 5000, ASR 1000, ASR 9000, 7600, MWR, CRS-1, Unified Computing System and Nexus series. This leadership portfolio of products spans Mobile Packet Core, Enhanced Packet Core, IP-RAN and Ethernet Access, IP Edge, IP Core and Data Center Solutions. The Cisco IP NGN provides greater intelligence to enhance the user experience, while decreasing operating and capital expenditures across the network. 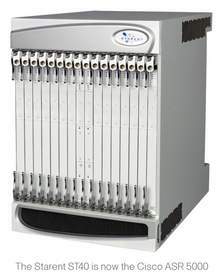 The Cisco ASR 5000 is purpose-built for the mobile network and is the centerpiece of the Cisco mobile Internet network architecture. It is a robust, mobile multimedia services platform that brings a new level of network and subscriber intelligence to the Cisco ASR Series, acting as the ideal customer management solution in a mobile core network. Such intelligent services in the network are critical to delivering real-time personalized services and helping operators develop innovative two-sided business models to profitably deliver these services. The Cisco ASR 5000 will be one of the products managed by the newly formed Cisco Mobile Internet Technology Group, led by Ashraf Dahod, the former president and CEO of Starent Networks. 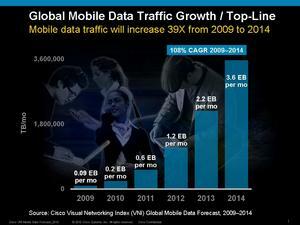 The results of the Cisco Visual Networking Index (VNI) Global Mobile Data Forecast for 2009-2014 demonstrate the need for intelligent, scalable and high-performance mobile Internet solutions. The forecast, released today, indicates that global mobile data traffic increased 160 percent over the past year to 90 petabytes per month, or the equivalent of 23 million DVDs. During the five-year forecast period, global mobile data traffic is projected to increase by a factor of 39 and reach 3.6 exabytes per month by 2014. The report also concludes that, global mobile data traffic is growing 2.4 times faster than global fixed broadband data traffic. Cisco also introduced a new Mobility Unified Reporting System for the Cisco ASR 5000, providing mobile operators with a comprehensive set of reporting and management tools that help them optimize network performance, offer customized services and improve the mobile consumer experience. Cisco will discuss and demonstrate its IP NGN architecture for the Mobile Internet at the GSMA Mobile World Congress 2010 taking place Feb. 15 - 18, 2010 in Barcelona, Spain. "The key to satisfying our customers is providing superior voice, data and multimedia services. We look to Starent, now Cisco, as a trusted partner, providing key elements in our IP next-generation network that allows us to remain a leading provider of mobile broadband services." "As a mobile operator, we require a tool that provides a comprehensive view of what is going on in our network at any given time," said Rolv-Erik Spilling, CTO of Telenor Norway. 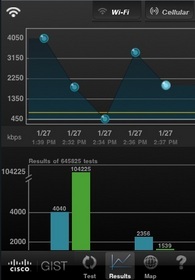 "Cisco's reporting tool will allow us to troubleshoot events on the network as they occur. By adding this solution to our network arsenal, we can optimize the performance of the network and ensure a quality customer experience." "As the demands from mobile users grow and their expectations increase, the need for intelligent traffic management, scale, performance and accurate reporting increases for service providers. We believe our IP NGN architecture and portfolio of Mobile Internet solutions, which covers the network from the cell site to the core and the data center, are uniquely qualified to accelerate service providers' ability to meet customer needs and grow their businesses." For detailed information on all of Cisco's activities at Mobile World Congress in booth 8A70, visit www.cisco.com/go/mwc2010. Cisco (NASDAQ: CSCO), the worldwide leader in networking that transforms how people connect, communicate and collaborate, this year celebrates 25 years of technology innovation, operational excellence and corporate social responsibility. Information about Cisco can be found at http://www.cisco.com For ongoing news, please go to http://newsroom.cisco.com.